The legal saga surrounding the Panama Papers appeals continued on Wednesday, with some of the documents being described in court as "beyond essential". The debate on which documents were admissible was the crux of a hearing before the First Hall of the Civil Court. The case had been filed by former Opposition leader Simon Busuttil who claimed that Mr Justice Antonio Mizzi’s decision to continue to preside over the Panama Papers appeals would render him a “victim” by violating his right to a fair hearing. The seven subjects of the inquiry, namely Prime Minister Joseph Muscat, his chief of staff Keith Schembri and Tourism Minister Konrad Mizzi, together with businessmen Brian Tonna, Karl Cini, Malcolm Scerri and Adrian Hillman, had each filed separate appeals from a magisterial decision giving the go-ahead for an inquiry in their regard. These appeals had been assigned to Mr Justice Mizzi. During the last hearing, some of the respondents’ lawyers had objected to various documents produced in evidence in this constitutional suit, an argument stressed further today with lawyers Mark Vassallo, Aaron Mifsud Bonnici and Pawlu Lia insisting that certain documents had no place or relevance in the constitutional proceedings. “Documents to this effect are not admissible as they form part of a magisterial inquiry which is secret,” argued Dr Mifsud Bonnici, requesting the removal of these documents from the acts of the case. However, Jason Azzopardi, assisting the applicant, rebutted that these arguments were “frivolous” and that the respondents’ lawyers were purposely confusing "admissibility" and "relevance". One particular document targeted for removal a transcript in which Mr Justice Mizzi “had declared several times in open court that an argument for his recusal was "highly annoying”. 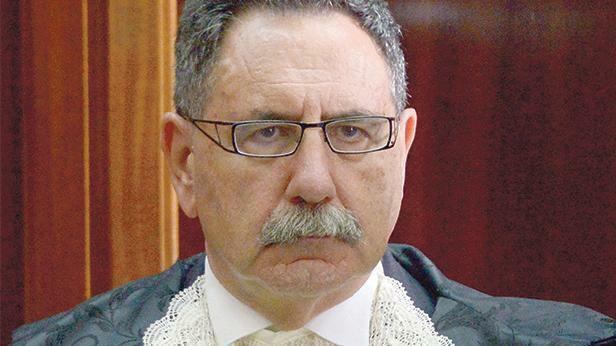 “Therefore it is clearly a case where the applicant, in view of the jurisprudence of the European Court, has the right to plead the lack of subjective impartiality of the judge,” Dr Azzopardi stressed, adding that his client had wished to testify but was unable to do so since he was abroad. Moreover, media coverage on what Mr Justice Mizzi’s wife had declared in the European Parliament were “beyond essential” as they formed the cornerstone of the applicant’s argument about the breach of the legal maxim that “justice must not only be done but be seen to be done”. Such remarks by MEP Marlene Mizzi certainly signifies that, “justice in this case cannot be seen to be done,” Dr Azzopardi concluded. Mr Justice Joseph Zammit Mackeon, after hearing the submissions and arguments, adjourned the case to later this month for a decision on this matter.